All Incinerators are Doubel Combustion Chamber with One Fuel Burner Each. After Burner Technology for Completely Combustion and Cleaner World. Temperature Range 800 Degree to 1200 Degree in Combustion Chamber. Temperature Thermocouple Monitor and Controller. High Quality Fire Brick and Refactory Cement. 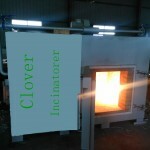 Regular model incinerator for market with burning rate from 10kgs to 500kgs per hour and we always proposal customer send us their require details, like waste material, local site fuel and power supply, incinerator operation time, etc, so we can proposal right model or custom made with different structure or dimensions. Incinerator Model YD-100 is a middle scale incineration machine for many different usage: for a middle hospital sickbed below 500 units, for all small or big size family pets (like Alaskan Malamute Dog), for community Municipal Solid Waste Incineration, etc. The primary combustion chamber volume is 1200Liters (1.2m3) and use diesel oil or natural gas fuel burner original from Italy. Development Community (SADC) experience will be an advantage. experience in Lesotho will be an added advantage. For the technical evaluation, not only the treatment plant but the entire system will be considered. It will be the responsibility of the Bidder to supply a full system, including all eventually additionally necessary secondary systems and additional equipment. The system offered shall be designed to operate normally under the conditions of the purchaser’s country. The conditions include Power Supply, Climate, Temperature, Humidity, etc. The Bidder must provide a warranty for one year. All text, parameter etc. on all control operating interfaces as well as on information displays and on print-outs shall be in English language. The Bidder is responsible for all permits and approvals for importation. The Bidder shall provide all the necessary documentation in order to facilitate the legal requirements for the installation and putting into use of the equipment. Period of Execution is 90 days from contract signature for delivery to site and completion of all verification operations required for the issuance of provisional acceptance. Representatives of the Contracting Authority and the Beneficiary, together with the Bidder’s representative, shall carry out the controls, testing and initial approval for provisional and final acceptance as. The provisional and final acceptance shall take place at the final destination. The Bidder will be responsible to deliver and install all to be supplied equipment at to be set up waste handling areas in the Republic of Kenya. The Bidder shall deliver a time schedule over the complete construction and assembling period. The delivery and installation time must be agreed between bidders, target Hospital and the Contracting Authority. The treatment plant must arrive pre-assembled. The Bidder shall ensure that all parts of the plant transported by sea shall not be shipped as “deck cargo”. It is expected that the Bidder cooperates closely with the contractor for the new waste handling building/area and will make available all needed technical information, drawing, etc. to the contractor. ITEM DESCRIPTION UNIT QTY RATE KSHS. To supply and install the following 2NO. Carried Forward To Collection Page. Provide lifting gear to hoist, erect and mount chimney, and provide supports slings as necessary. Allow for cutting of tree branches to facilitate the exercise. Evaluation shall be carried out in four stages namely preliminary examination of documents for conformance with mandatory requirements, technical evaluation, site visit and commercial evaluation. – Preliminary Evaluation under special condition of the tender. These are mandatory requirements. This shall include confirmation that a bidder has complied with the special condition of tender above. Failure to meet any one of the above requirements stated in the special conditions of the contract shall lead to automatic disqualification. The evaluation committee will visit the premises of the bidders who are responsive to technical evaluation stage to verify the authenticity of statutory document submitted; ascertain the accuracy of the information given in the tender documents, assess firm’s capacity, location, among others. 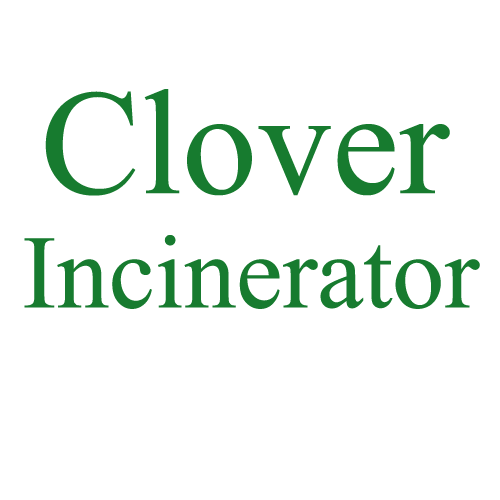 The Tenderer will be automatically disqualified where false or fraudulent Information is found to have been given. Bids that pass the above three (3) stages shall be compared on the basis of prices / cost quoted and the lowest priced will be considered the lowest evaluated bid and subsequently recommended for award. Prevailing market prices will be used to determine the price responsiveness of the bidders. – Waste disposal management shall be taken special note to prevent hospital infection. 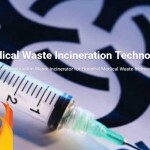 – Infections wastes shall be managed, stored strictly and burned by a incinerator located at hospital site. Infections Waste Specially-controlled waste Organ, needle, etc. Industrial waste Rubber gloves, etc. General Waste Plastic, Rubber Infusion bottle, etc. Paper, wood, Vinyl Voucher, etc. – Segregation: Infections waste disposal shall be segregated appropriately and packed in particular containers and delivered to particular storage. The segregation, packing and delivery shall be operated appropriately at each room such as outpatient, operation theater, blood collection room and dialysis room. 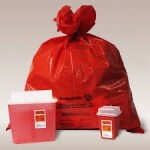 – Precaution: Infections waste shall not be place in other containers on the way of segregation, packing and delivery. – Storage: Infections waste shall be stored at the storage in hospital site temporarily until infections waste is incinerated. It is designed to sterilize medical waste , reduce its volume , and render its components unrecognizable all in one fully enclosed and automated system. It combines direct heated steam , high pressure and shredding to treat infectious materials. The contaminated waste is loaded into the upper stainless steel chamber where a heavy-duty shredder reduces the waste into small pieces. Using gravity, the processed material falls into the treatment chamber where every piece is steam heated to 134 and pressurized to 3 to bar for 20 minutes. The operating conditions are continuously monitored and validated to achieve complete sterilization. The 60 minutes average duration process cycle is totally automated. A computerized system monitors the process and automatically prints a report with the essential sterilizing parameters at the end of the cycle for accurate record keeping. The capacity is between 500 to 600 kg/cy.h or more. 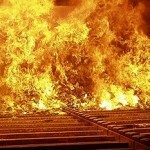 The incinerator manufacturer must avoid the release of black smoke and fine dust, during the loadings. It shall be able to reduce the volume of wastes by 98%. It shall be able to hold emission in the second burn with gas residence of not less than 2 seconds. The incineration should be completely free from visible smoke as well as offensive odours. 1.0The primary ignition burner shall providing ignition of the waste to 850 °C and must switch off to conserve fuel. complete layer of hote face refractory and high efficiency insulation.